Collage celebrates sixty-five years of my involvement in the world of percussion music and the seventy-fifth anniversary of my existence on planet earth. The compositions on this CD were written between 1967 and 2007. Originally I wrote music for my students at Carnegie Mellon University in Pittsburgh, Pennsylvania because there was a significant need for snare drum, timpani, solo percussion, and percussion ensemble music. Circus, my first percussion ensemble, was composed at CMU in 1958, published in 1972, and continues to be performed today internationally. Canticle (1995), a CD distributed by Ludwig Music, provides a sampling of music I wrote during my twenty years at CMU. During my ten years as a faculty member at Duquesne University I wrote solo compositions, music for the school percussion ensemble, and music for the percussion group, Tempus Fugit. Then I began composing works for long time percussion colleagues and their ensembles. I also wrote individually commissioned solo and ensemble pieces. On this recording my most recent composition is Collage for Solo Timpani. This percussion music collage is created to give the listener a glimpse into the fascinating world that has been such an important part of my musical experience. 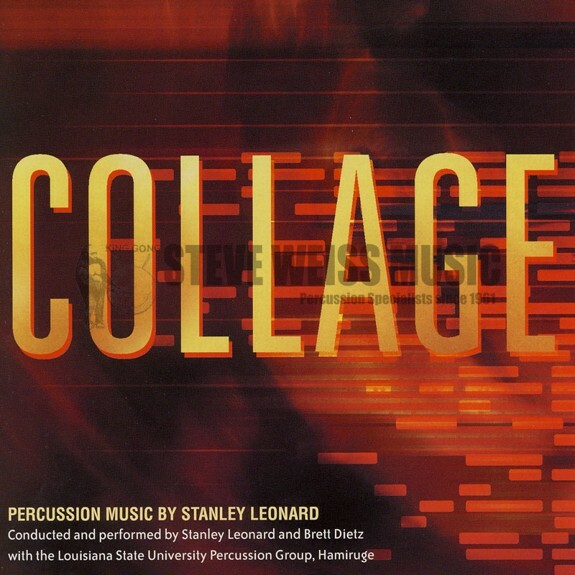 I am indebted to the energy and talents of the Louisiana State University percussion group and their director, Dr. Brett Dietz, for bringing the music to life. On this recording all works are conducted by Stanley Leonard except Hurricane and Xylem which are conducted by Brett Dietz. The year of composition is indicated opposite the title.